Pilots don’t always get much of a chance to interact with passengers, but when we do there’s a good chance I can anticipate some of the questions they’ll ask. Among the more popular queries are: “How long have you been flying?” “Where did you learn?” and, my personal favorite, “What’s the furthest you’ve flown?” The first two are easy to answer: 20 years and Southern California. That last one, however, is – if you’ll pardon the pun – a much longer story. If you stuff the tanks full, the Gulfstream IV will run out of fuel after nearly ten hours aloft. While we never push the fuel burn to the point where we’re “running on fumes”, it has proven to be a very convenient metric because charter regulations dictate that a pilot may not fly more than ten hours per day. So when my trusty steed needs to come down to Earth, so do my copilot and I.
Today’s large-cabin variants can stay airborne for more than 14 hours, and that tends to complicate matters. If the pilot can only fly 10 hours but the leg is longer, what do you do? The answer depends on the kind of flight. If it’s a charter, they’ll carry an extra pilot and rotate them so that nobody is at the controls for longer than is legally allowed. If it’s a non-commercial flight (typically that means carrying the aircraft’s owner) then there are no legal limits to how long the crew can fly. Smart operators use the same limits regardless of who’s on board, because let’s face it, fatigue doesn’t discriminate based on the vagaries of the passenger manifest. Having said that, I know a crew who flies a G650 from Japan to Savannah, Georgia every now and then. That’s nearly 7,100 miles. The seats are more comfortable on the new planes; the cockpit is larger, the cabin pressurized to a lower altitude. 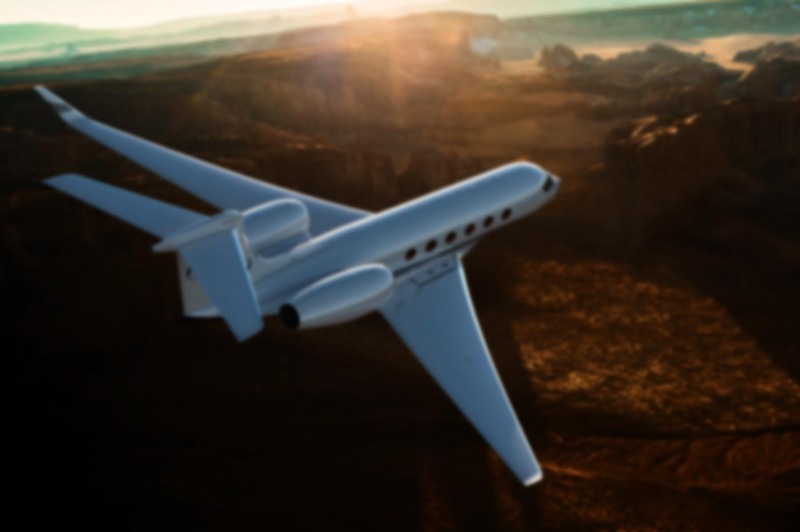 The Gulfstream G650ER is capable of flying more than 8,000 miles on a single tank of gas. It still takes a tremendous toll on the body. Humans were not made to sit still for that long. Then there’s the circadian rhythms and time zone changes, which throw your system out of whack to a degree which is difficult to quantify if you’ve never experienced it. The longer I fly, the more convinced I am that managing fatigue is one of the most important skills a long haul pilot can develop. You’ll notice that I usually speak of how far a plane can fly in terms of time rather than distance. That has never sounded abnormal to me… but then, I’m from Los Angeles. Ask an Angelino how far it is from Hollywood to Long Beach and they’ll reply, “About an hour”. Time is what really matters, and nothing highlights that more than living amid one of the most gridlocked freeway systems in the world. In aviation, we reference aircraft range in terms of time because it’s safer. More than one pilot has vastly overestimated their aircraft’s range by thinking in terms of distance when Mother Nature had other ideas. You see, the time we can stay aloft is fairly consistent, but the distance we might travel in that time varies widely because of wind. It’s not uncommon to see 100 mph winds at our cruise altitudes. I’ve seen nearly 200 mph at times, especially in the winter when the jet stream bends southward. Now if you’re headed eastbound, that’s great. Nobody would look askance at a 650 mph ground speed. Going westbound, however, you’d be poking along at a relatively slow 350 mph. Yet endurance is unchanged: ten hours. But those ten can take you 3,500 miles or 6,500 miles. It’s like an aerial version of an urban rush hour; your speed will depend on whether you’re headed into, or out of, town. My longest flight? As a private pilot I once flew a four-seat single-engine Cessna from Ohio to Los Angeles. According to my logbook, it was 15.7 hours of flying and included crossing the Rockies in rough weather, plus a night landing on the west coast. In retrospect, not a very smart thing to do. I learned a lot about fatigue from that flight. As a professional pilot, it was New York to Athens. That’s pushing 10 hours and 4,700 miles. On paper, it’s actually beyond the range of the airplane, but like I said, if the winds are right, you can go a lot further since your ground speed is higher. Going westbound there’s no way the airplane could have made it — we’d have run out of fuel over the North Atlantic. On that particular day, we went to Athens, dropped off passengers, and then repositioned empty to London after a two hour ground delay. Again, not terribly smart, owing to the 18 hour duty day. But legal? Sure – the leg to London was without passengers and therefore free of any regulatory restriction on our duty or flight times. My IQ’s gone up a bit since then. I’d flatly refuse the second leg if it was planned today. You flew from New York to Athens?! Wow, that seems a really long way! So, what are some tips you’d give for pilot fatigue that you learned on that trip? To add another question to the “FAQ” list, how many types of planes have you flown? One of the most important things I’ve learned about fatigue is that it’s insidious. The nature of fatigue actually keeps you from being able to recognize it. In that regard it can be like hypoxia, and perhaps that’s when it’s most hazardous: when you’re fatigued but don’t recognize it. Being aware of circadian lows, sleep cycles, and so on can help in predicting when it will hit. But even that’s no guarantee. Sometimes on those long flights you start off thinking you’re absolutely fine, only to discover half way across the ocean that you’re reeealy dragging. I find that judicious use of caffeine can help, as can getting up and moving every hour or so (which is a good idea anyway). At last count, I’d flown more than 60 different types of aircraft. That’s not a particularly large number; Barry Schiff has flown more than 350 types, and I doubt he’s the record holder. You may be able to fly a 10 hour day in a 12 hour duty day, not on a continuous basis. However, that is another story. Three straight 14 hour domestic duty days in 4 time zones and I was toast. I understand where you are coming from. Nice story. That is a hard trip. So true — fatigue is cumulative, even with a full 8 hours of sleep. I remember a few years ago I was covering an airplane on the east coast and we were doing 14 hour duty pretty much every day under Pt 91 over the holiday season, and that’s the one of the few times I’ve called in to the company with a fatigue issue. To their credit, they said no problem, let us know what you need and consider it done. Actually the 135 limit is 8 hours “at the controls” for each pilot while using 3 pilots for a 12 hour flight day. I fly GV/550’s and we run across the issue all the time. Honestly, you don’t get much rest, just because you’re out of the cockpit so you end up with 3 tired pilots instead of 2. Although some pilots are able to actually get some sleep during their rest period I find good rest elusive in the airplane….Even in airline business class with lie-flat seats. Right you are, Pete — my error! It’s 8 hours for three pilots and 10 for two. I’ll correct that. A number of friends fly the V/550 and they seem to need a third pilot on most every trip. It sounds sort of unenviable, even with a dedicated crew rest area. On the other hand, when you do arrive at those more exotic locales and recover from the flight, the destination might very well make up for it. I’ve never had much luck getting truly good rest on an airplane either. Pilots seem to have their own individual techniques for zonking out when deadheading on an airliner, whether it’s a couple of beers after takeoff or just staying up all night so they board tired. I never really found my mojo for that.